This post is from February, 2015. 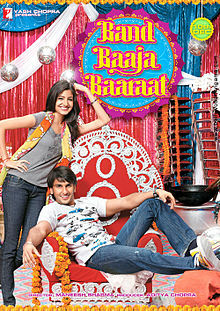 Click here to view my full, up-to-date list of all Hindi movies currently available on Netflix. It’s Valentine’s Day, the perfect excuse for a romantic movie marathon. 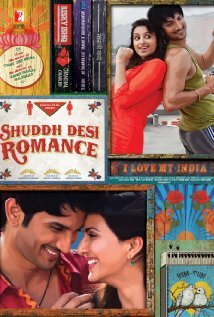 Here are some of the best lovey-dovey Bollywood flicks available for streaming on Netflix. 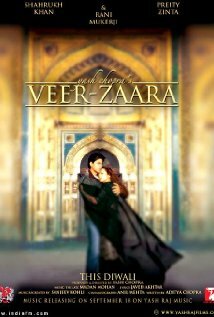 If you’re in the mood for a more somber SRK romance, watch him love and lose Preity Zinta in Veer-Zaara. Rani Mukerji plays a lawyer who tries to reunite the lovers across borders. 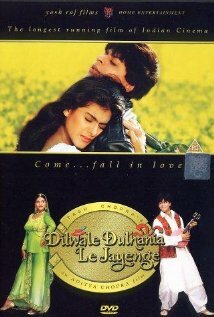 This entry was posted in Streaming Video and tagged Band Baaja Baaraat, Bollywood, Bollywood Movies on Netflix, DDLJ, Desi Movies Netflix, Dilwale Dulhania Le Jayenge, Hindi, Hindi Movies on Netflix, Indian, Kismat Konnection, Mere Brother Ki Dulhan, Movie, Netflix, Romance, Shuddh Desi Romance, Streaming Video, Veer-Zaara on February 14, 2015 by Kathy. How about 2 States and Kuch Kuch Hota Hai getting an Honorable Mention? Good suggestions, Mike. It’s a bummer that they aren’t available for streaming on Netflix. Silsila, Dil to Pagal Hai? Good choices, too, but this list only contains movies presently available for streaming on Netflix in the U.S. Did I miss any good ones in the current Netflix catalog? Chandni, Jab We Met, Rab ne bana di jodi!